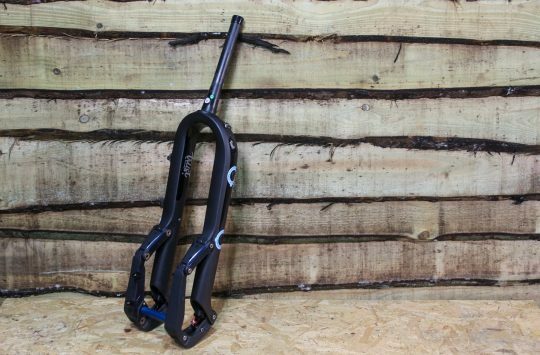 No, that’s not a tiny cyberpunk hockey stick, it’s a mountain bike fork. 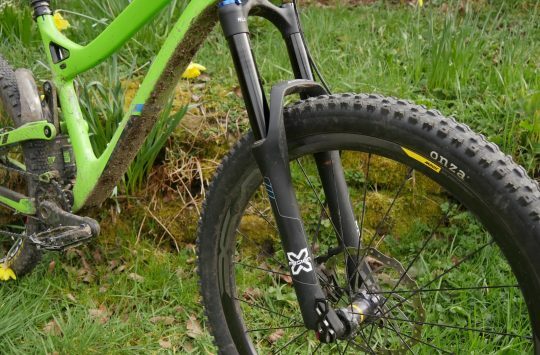 Specifically, a prototype truss fork made by product designer Josh Gore. 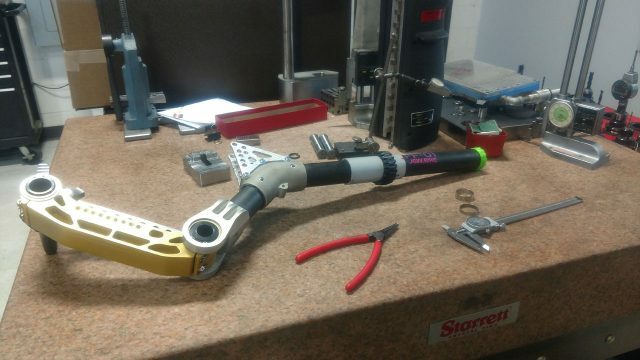 Refreshingly, there’s no crowdfunding campaign and Josh isn’t asking for any money – he’s just curious as to how a truss fork works, wants to mess around with different prototypes and parameters, has the skills to design and manufacture his own prototypes, and is opening up that process publicly. Construction is similar to the Robot R160 we were testing, with carbon tubes bonded to metal lugs, though in this case they’re machined aluminium, rather than titanium parts made through additive manufacturing. As with many ideas in cycling, truss forks have of course been done before. There was the USE S.U.B. Fork, which was a single sided truss fork designed mostly to stop brake dive. Before that there was the Girvin fork which, searching around the web, did not have a good reputation. Nowadays there’s also German:A, as we saw last year at Eurobike, making linkage forks such as the upcoming Kilo X-Link, in a effort to save weight and create, in their words “constant steering behaviour”. The main thing truss forks have done in the past is create anti-dive characteristics, as well as reducing or eliminating the stiction of conventional forks built around telescoping tubes. Josh mentions specifically that he wants to experiment with axle-paths and different trail measurements on the front wheel (“Rear axle path” used to be a term thrown around lots in rear suspension designs, until Santa Cruz did a load of research and found that any differences rear axle path made to bike handling were negligible). 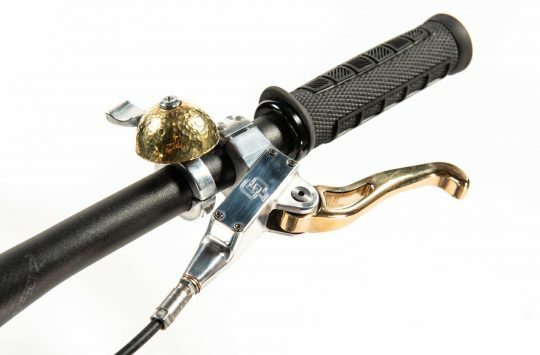 “The Funny Fork project started as the simple desire to understand the handling characteristics of suspensions systems which were non telescopic in nature. Having few modern interpretations of linkage suspension systems available to test and tinker, I set about creating one. 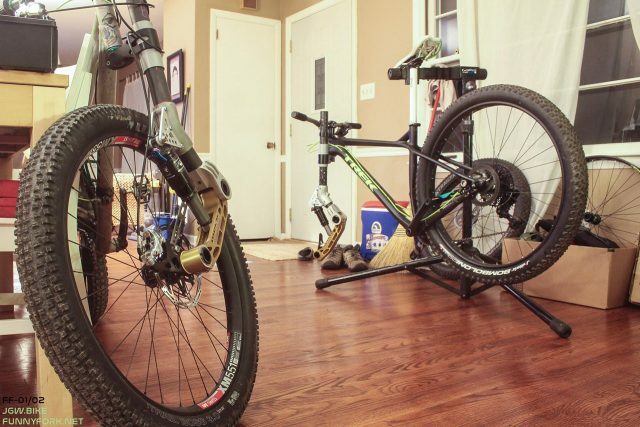 My goal was a prototype which would allow for a variety of setup options accommodating a number of bicycle frames, travel requirements, and tire sizes. Above and beyond these requirements were adjustments specific to linkage forks; these included the pivot position, and brake forces. Can’t wait to see more. Love this! 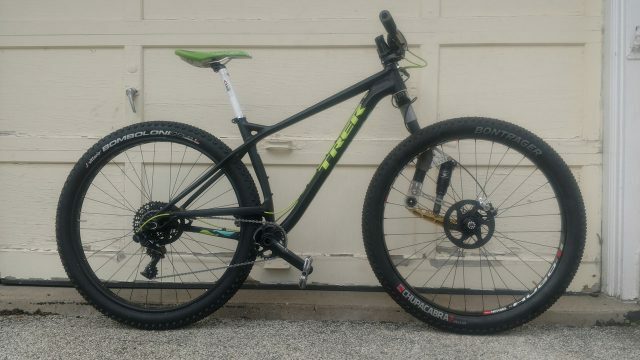 Similar to the old USE proto fork?